One of my favorite times of year when I was a child was the end of the summer. Don’t get me wrong, I loved all the adventures that I got to experience during my summer vacation, but August is back-to-school time! A time to purchase school supplies and prepare to learn new and exciting things. School for me was a seemingly magical place where anything was possible and I grew every day, both my knowledge base and as a person in general. 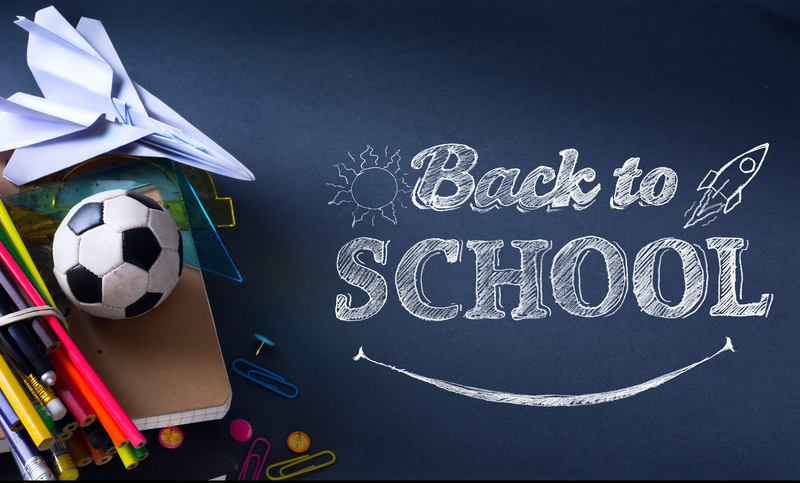 Whether you are preparing your children for the school year or just dreading the increase of traffic on your commute to and from work, there are a few things that all of us can do to make the school year easier on students. According to the National Highway Traffic Safety Administration, students are approximately 70 times more likely to travel safely to school via school bus than by car (http://bit.ly/NHTSA_School_Bus_Safety). The truth is, the biggest danger to students travelling back and forth to school comes from the other vehicles on the road. Now that schools are getting back in session, now is a good time to reconsider our daily routines. Remember, with school buses back on the road, many of us will see an increase in our commute time. Please plan ahead and allow yourselves extra time to get to your destination. By planning ahead, you can avoid the anxieties that we may feel when we are running late which may cause some of us to make the sometimes ill-fated decision to speed and recklessly pass others on the road. When it comes to school buses, you should be aware of your state laws and not pass a school bus when it is loading or unloading. Not only will you be subject to fines and possibly other repercussions, you are risking innocent children’s lives. Saving 30 seconds during your commute is NEVER worth a child’s life. Please drive smart by planning your trips in such a way that you do not feel a need for speed. suggested by the NHTSA that students stay six feet away from the curb while waiting for the school bus. This distance will provide students with more of an ability to escape if a car accident were to occur or if a motorist made the poor decision to pass a stopped school bus on the right-hand side. When the bus arrives, students should be sure to follow the bus driver’s instructions and only enter/exit the bus or cross the street when the driver says to do so. Learn more about school bus safety tips at http://bit.ly/NHTSA_School_Bus_Safety. numbers and home address in case of emergency. Parents and guardians should help their child practice memorizing both. Practice writing by copying the information down or make memorizing fun by turning it into a game. Pick a way to learn that works best for your child. It is also advisable to create an emergency contact card that the student can keep attached to or in their backpack just in case they can’t remember the information themselves. Check out the follow websites for some ideas on how to teach your child phone numbers and their home address. The more we work together to create a safe world, the better things will be for all. Let’s make this school year the best one yet! The blog for this month was a little shorter than normal; however, that does not make the information any less important. I will be sharing additional information and tips on all of my social media sites, so stay tuned! I hope that everyone has a great school year! Have fun and stay safe!